Planned giving or legacy giving, is a term that covers all kinds of charitable giving, which allows you to leave a real legacy with lasting, positive impact that continues far beyond your lifetime. We recommend consulting with your attorney or tax advisor about the various tax benefits and restrictions that may apply to your specific situation. We are available to you and your advisors to answer questions or help arrange a legacy gift to Groundswell. Our future programs depend on the partnerships we form today. 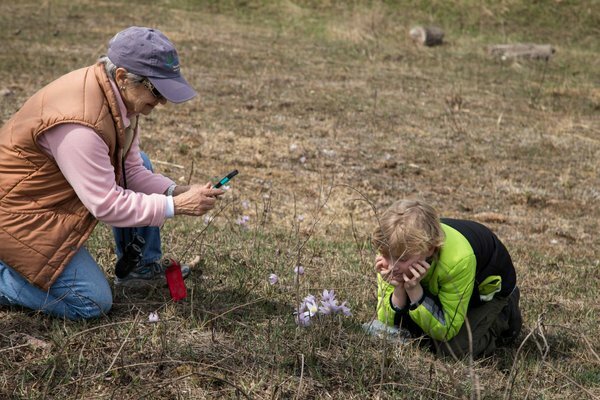 In 1986 Groundswell (then known as Dane County Natural Heritage Foundation), received its first legacy gift when Dr. Alice Watts left 115 acres to the Foundation in her will. The proceeds from the sale of the property, permanently protected with a conservation easement, were used to protect and preserve cherished local lands. Dr. Watts' bequest continues to support permanent land protection today. Q: What language should I include in my will or trust to make an unrestricted gift? I give _________ to Groundswell Conservancy, Inc., a Wisconsin nonprofit, nonstock corporation that is recognized as exempt from taxation under Section 501(c)(3) of the Internal Revenue Code of 1986 (as amended) with principal offices located in Madison, Wisconsin (or successor organization), to be used for its general charitable purposes. Official name: Groundswell Conservancy, Inc.
Q: How can I give a legacy gift to Groundswell? A: There are several ways to give. 1. Gift of cash and other assets such as appreciated stock: An outright gift of cash is the simplest way to give. Decide how much you wish to donate and have your attorney include your bequest to Groundswell in your will or trust, or as a codicil (amendment) to your will. 2. Designation as Beneficiary of Retirement Plan or IRA: You can name Groundswell as a beneficiary of your retirement accounts, including pension plans, profit sharing plans, stock bonus plans, Keogh Plans, 401(k) plans, and Individual Retirement Accounts (IRAs). You can decide whether to leave a percentage or the entire amount of your retirement account to Groundswell. 3. Insurance Beneficiary Designation: Many donors choose to name charities as beneficiaries of their life insurance policies. You can name Groundswell as the primary or secondary beneficiary of your life insurance policy by simply contacting your insurance agent. Q: Does Groundswell have an endowment? A: We have three endowments at the Madison Community Foundation (MCF). There are two general funds which support conservation (MCF funds 1030739 and 1030747). In addition, one fund specifically supports our ability to permanently steward and defend conservation easements we hold (MCF fund 1030740). Q: Does Groundswell offer charitable gift annuities? A: Yes. Groundswell has partnered with the Madison Community Foundation to offer its supporters the ability to benefit Groundswell by entering into a charitable gift annuity with MCF. This type of gift allows you and your successor to receive income during your lifetimes, with the remainder benefitting Groundswell. If you would like to request a personalized charitable gift annuity proposal, please contact Heidi Habeger at (608) 258-9797 or heidi@groundswellwisconsin.org. Q: What is the Legacy Circle? A: The Legacy Circle is a special group of benefactors who have indicated that Groundswell is included in their wills, estate plans, or beneficiary designations. As a member of the Legacy Circle, you will receive an invitation to a small, social gathering every other year. Groundswell is honored to list those who notify us of their gift in our Legacy Circle, either as a named or anonymous member, in our Annual Report. If you have already included Groundswell in your estate plan or are considering making a legacy gift , please call Heidi Habeger at (608) 258-9797 or heidi@groundswellwisconsin.org.